Want to know which project is on target and driving the required results ? Zoho Analytics gives you a complete picture of the team progress with an insightful dashboard. You can easily create a slew of reports like project status, burn down charts, hours utilized, planned vs actual reports. 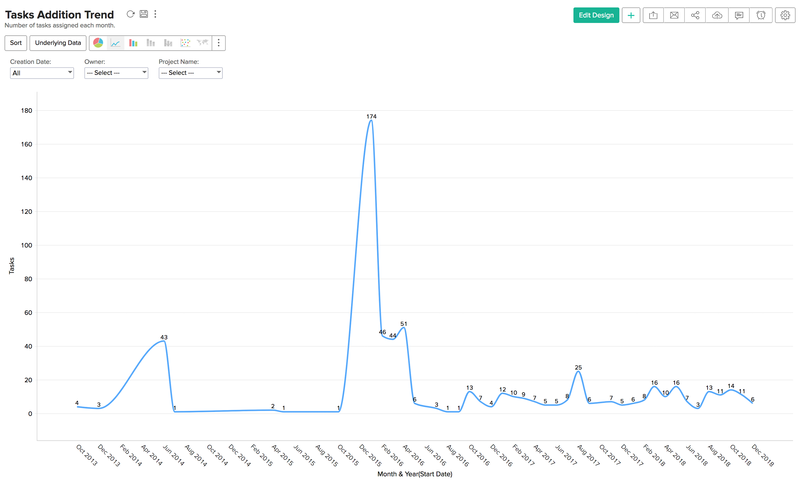 Help your entire team connect the dots and put those insights into action – real fast. 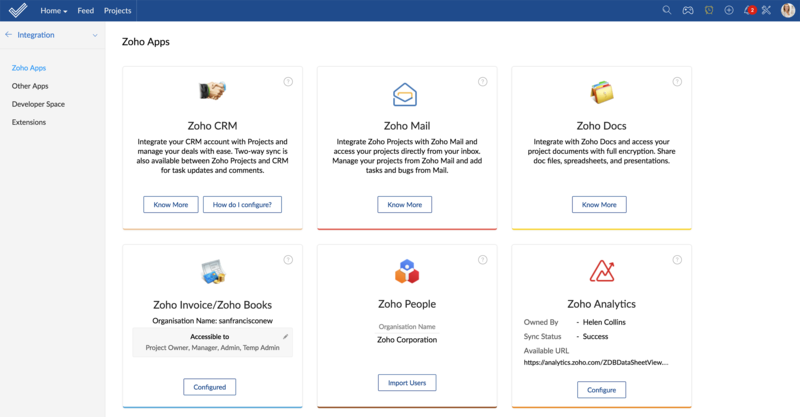 Your Zoho Projects data gets synced automatically to Zoho Anaytics. Get access to a full fledged BI tool, seamlessly from within your projects account. 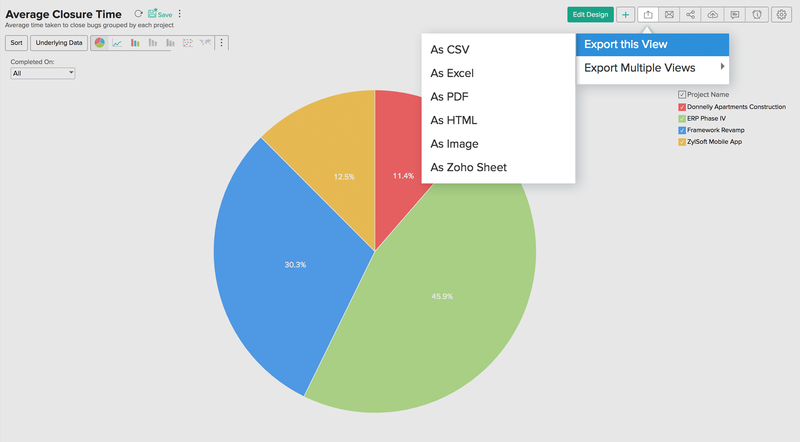 Embed reports and dashboards across websites, blogs and applications for wider consumption. Zoho Analytics integration provides you with more than 50 ready made reports and dashboards. You'll love Zoho Analytics, and find great value in analyzing the performance of your most valuable resource, your team. Slice and dice your data the way you want. 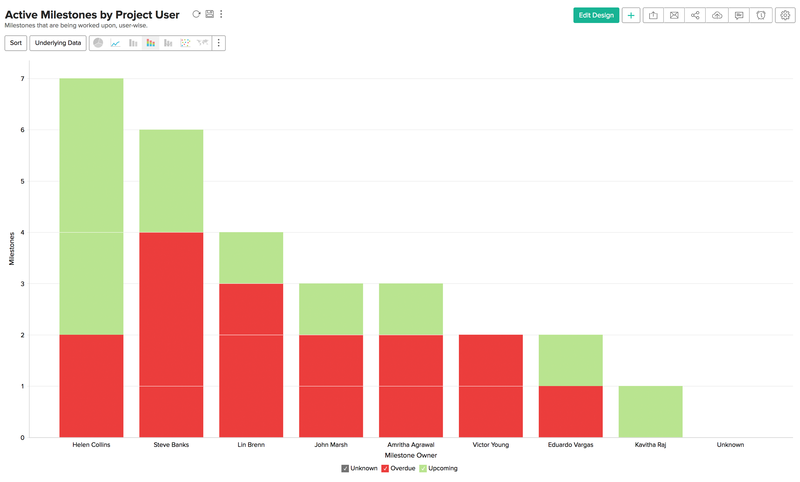 Visually analyze and build insightful reports with easy drag-and-drop interface, and instantly get to know your key performance indicators to proactively manage your project execution. Would you love to take a hard copy of your reports and dashboards? We've provided the export and print options. You can even schedule your reports to be emailed automatically to you.